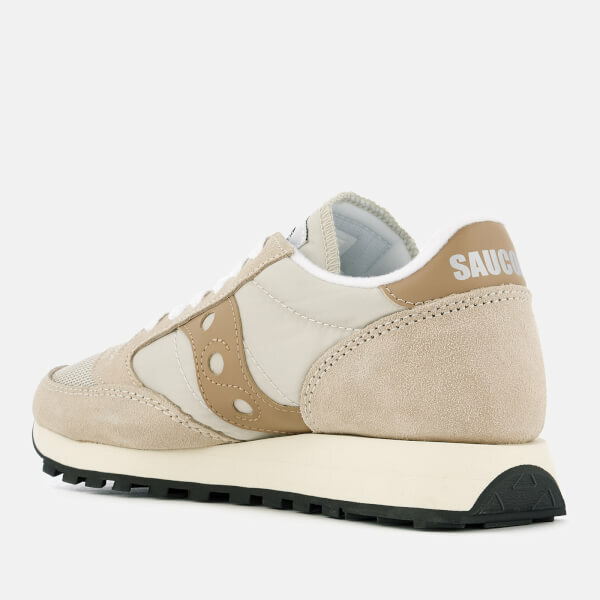 Women’s 'Jazz Original Vintage’ trainers from Saucony. 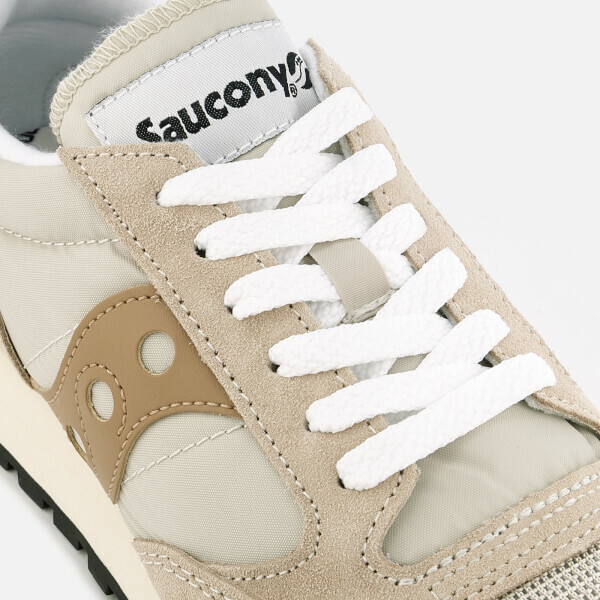 Crafted from premium suede and smooth textile uppers, the low top sneakers comprise a rounded toe, lace up fastening with tonal laces and a padded collar for additional comfort. 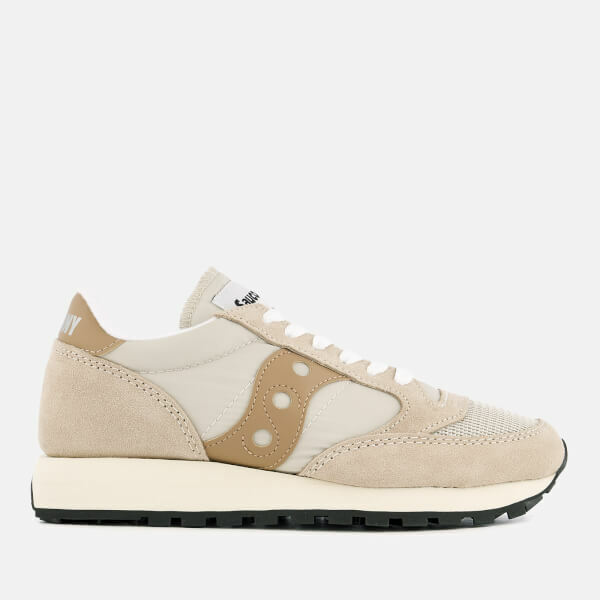 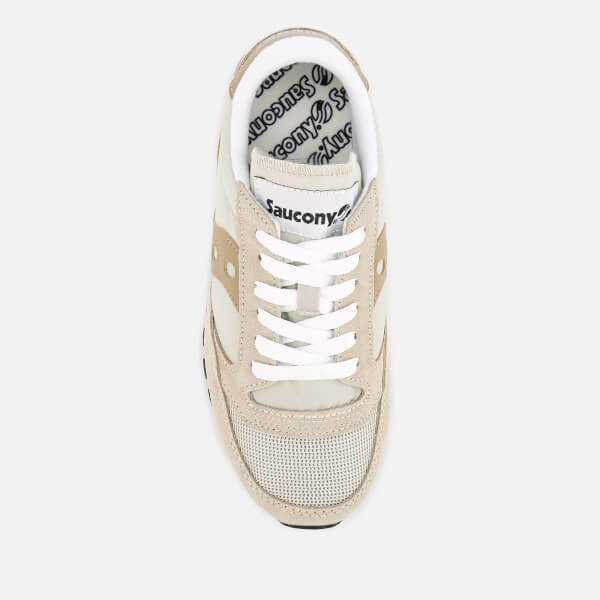 Placed upon a chunky midsole and a textured rubber sole for traction and durability, the trainers are complete with a contrasting side panel and Saucony branding to the tongue and heel.